The ultimate pen and paper RPG simulation experience. Put together your own role-playing group complete with the game master, the role-players and their respective classes. Fight and explore your way through a perilous fantasy world to defeat the dark mage. Level up and get your hands on more gold to unlock epic items and gear for your party. 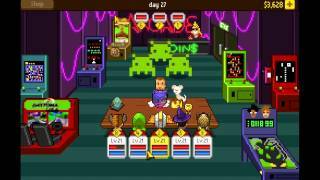 As the game master, you can set up the fights yourself and choose how many monsters to battle. New dungeons to explore with monsters, traps, treasures, and powerful bosses. The Tavern, a place to stash heroes and switch out party members. More options for characters to implement during battles, adding more depth and variation to fights. Extended campaign filled with lots of new content.